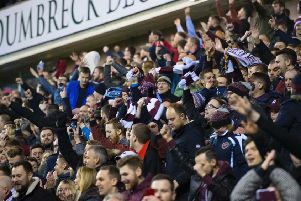 Hearts and Hibs will both face League One opposition in the second round of the League Cup. While Alan Stubbs’ side will be at home to Stranraer, Robbie Neilson will have to take his players to Forfar. Livingston have also been drawn away from home, against Championship newcomers St Mirren, while Rangers will travel to Airdrie. Ross County v Ayr United; Forfar Athletic v Hearts; Kilmarnock v Berwick Rangers; Raith Rovers v Hamilton Academical; Queen of the South v Morton; Dunfermline Athletic v Dundee; Partick Thistle v Falkirk; East Fife v Motherwell; Hibs v Stranraer; Airdrieonians v Rangers; St Mirren v Livingston (Ties to be played August 25/26).